This wagon is incredible! Amish handmade wagons just don't get any bigger, tougher, or more beautiful than this. Handcrafted by master woodworkers in Pennsylvania, this enormous wagon is fully-functional and ready to hold displays, firewood, leaves, or just about anything else you can think of. The solid ash and hickory construction promises years and years of use, and the optional harnesses provide options for involving your dog, donkey, or miniature horse in the fun. 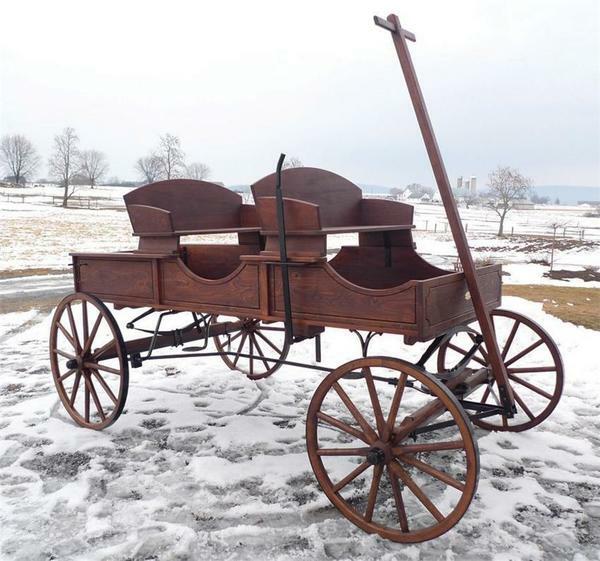 Choose from a wide variety of finishes to create your own custom jumbo buckboard wagon.